With extensive experience working in different geographical regions and conditions, we provide timely, cost-effective, long-term solutions through efficient project management and effective communication. Pureflow is DKM’s temporary water supply system that connects seamlessly with existing water supply assets. Pureflow gives DKM the capability of decommissioning large sections of the existing water supply, whilst maintaining a clean and reliable water source for those affected by our works. This also gives our clients the option of decommissioning failing assets from their network whilst engineering, planning and permits are sought for their renewals. Pureflow is an integral part of the process of the removal and the renewal of old assets, such as the removal and replacement of the current asbestos water network. 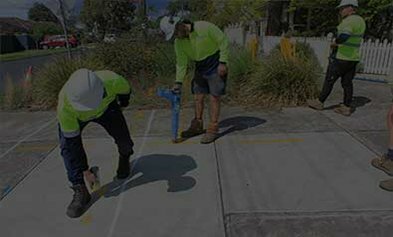 The Pureflow system consists of approximately 11 kilometres of temporary supply, road crossings and pedestrian crossings, and it is managed by our dedicated staff. Pipe bursting is a less invasive form of pipe replacement, utilising current depths and alignments. The benefits include extensively reducing our construction footprint and the cost of reinstatement. Pipe cracking greatly reduces the amount of generated waste and spoil from our projects. This initiative lessens the amount of general disruption, air pollution and noise pollution, ensuring our works are of little inconvenience to the public and residents within the scope of our projects. Conventional construction is the original method of infrastructure installation that requires the full excavation of the scope of works. Lift and relay utilities the conventional method whilst removing and renewing the original infrastructure in the same position. In today’s highly congested nature reserves it is of great benefit to reuse currently occupies alignments. The removal and relay of Asbestos water mains utilises DKM’s Lift and Relay method. Our employees are highly trained to undertake the supervision, removal and transport of B class asbestos pipes. 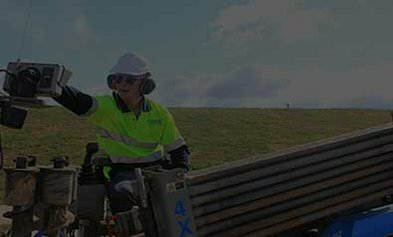 All these works are completed safely under EPA and WorkSafe requirements. 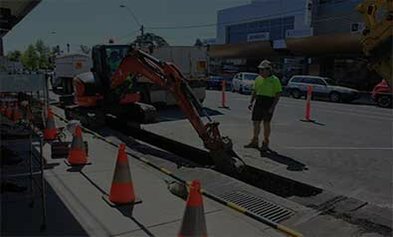 Directional drilling is an alternative service to pipe bursting that DKM utilise, offering many of the same benefits as pipe bursting, however, taking advantage of a new alignment. Discuss your next utility construction project with the experts. 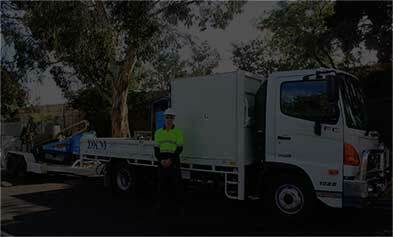 DKM Utility Services Pty Ltd is a Melbourne-based water-main construction company. We pride ourselves in delivering our work on time and within budget to the satisfaction of our customers.